WANT RECREATION OPTIONS? CONVENIENT LOCATION? 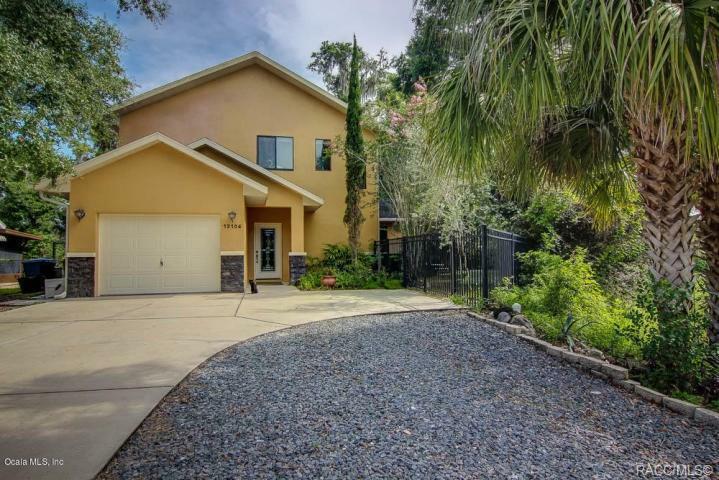 CHECK OUT THIS RAINBOW RIVER HOME WITH IT'S OWN 80' WATER SLIDE GOING INTO THE RIVER. ENJOY BOATING, FISHING, KAYAKING OR RELAXING & ENJOYING NATURE ON THE BEAUTIFUL RAINBOW & WITHLACOOCHEE RIVERS. THE 2005 BUILT 2 STORY HOME FEATURES 3 BEDROOMS, 3 BATHS, 1 CAR GARAGE, GOURMET KITCHEN WITH GRANITE COUNTER TOPS, MAPLE CABINETS & BREAKFAST BAR, KITCHEN IS OPEN TO THE GREAT ROOM WHICH HAS 6 FRENCH DOORS THAT HAVE BUILT IN BLINDS & OVERLOOK THE BACK YARD & RIVER, OFFICE OFF KITCHEN, LARGE MASTER SUITE WITH BALCONY, GUEST BEDROOM WITH IT'S OWN BATHROOM, UPSTAIRS & DOWNSTAIRS LAUNDRY HOOK UPS, WORKSHOP / UTILITY SHED, SHUFFLEBOARD COURT & FENCED YARD. HOME IS LOCATED ADJACENT TO THE DUNNELLON CITY BEACH & CONVENIENT TO ALL THE AMENITIES IN TOWN. Directions: From Dunnellon: E. Pennslyvania Ave (Hwy 484) Go S/Adams St L/The Granada R/Palmetto Ct. Property Is Adjacent To The Dunnellon City Beach.